There are generally two ways to cure default on your federal student loans: 1) consolidating the loan 2) rehabilitating the student loan. Your choice on which to use depends on a variety of factors from what collection action is going on to what type of loan you have. The biggest problem you have and need to be aware of when curing your student loan default is that you are going to get hit with a penalty fee of 18.5%. Does this really matter? In most cases not really. I say this because if you are in a student loan management program with an attorney who is working to keep your payment as low as possible while the clock is ticking to get you to qualify to have any balance forgiven the amount you owe is irrelevant. Who can do manage your student loans until the balance can be forgiven? We can. It is not free. Great deals usually are not. But it is affordable and you will save a considerable amount of money especially if you are not managing them well now. As of 2010, consolidations can only be done through Direct Loans. The great knews is you don’t necessarily need to be making a monthly payment while you are requesting a consolidation. The new consolidation loan term can be as long as 25 years and the process takes about 30 to 90 days from time of application. 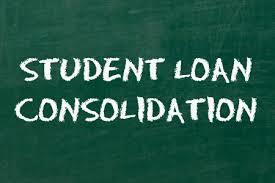 In a nutshell, what is done in a student loan consolidation is the old loan is paid and a new loan is created. You should be aware that if you are being garnished for the student loan it can not be consolidated out of default. Never fear. There are ways to manuever you back to being able to consolidate. The one thing a rehabilitation does that a consolidation does not do is help your credit. When a loan is rehabilitated the “default” flag on your credit report is removed. So there is no record the loan was ever in default and your credit score will respond accordingly. In a consolidation, the defaulted only loan remains on your credit even though it is paid off. To rehabilitation a federal loan a borrower must make nine payments over a ten month period. Payment amount depends your financial situation. There are slight differences in how rehabilitation works depending on the type of federal loan. As always, hiring a student loan lawyer to manage you out of student loan agony is worth it. If you are reading this blog you are probably in default so you are having difficulty managing your student loans. On top of that you are wasting valuable time that could keep the clock ticking towards your debt being forgiven. Get a virginia student loan lawyer on your team today to manage your student loan debt and get back to a stress free life with a light at the end of the tunnel. Call us today.